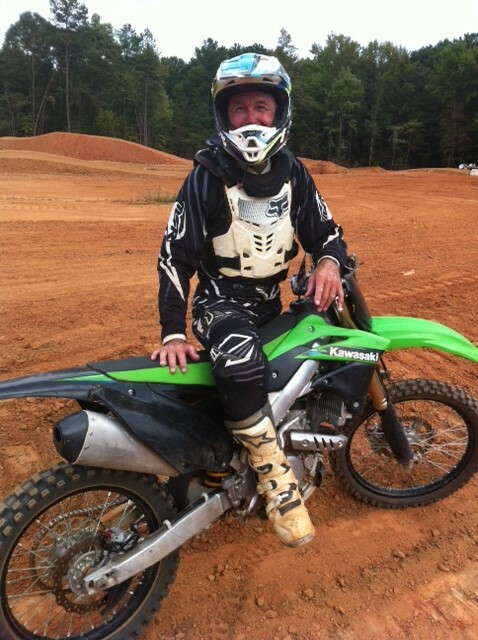 I recently had the opportunity to test the new Supercross track at NCMP (North Carolina Motorsports Park). 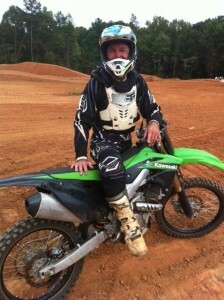 Mark Czysz, owner of NCMP, had decided his old Supercross track (amateur style) had become a bit boring. He was having night races on it, but the attendance wasn’t there, possibly because it was not challenging enough. He subsequently spent a lot of money, time and effort into sprucing it up. And I must say that the changes are absolutely awesome, demanding and interesting. My opinion is that the riders will not be disappointed. No matter what level of riding you are at, the track has the challenges. However, if you don’t time it exactly right, you aren’t going to get hurt as it has been designed to be safe. North Carolina Motorsports Park is located in Henderson, NC and has over 230 acres of wooded terrain. There are five motorcross, supercross and TT tracks as well as 120 acres of wood trails ranging from wide-open to single track. There’s something for everyone from pee-wee to the advanced rider. NCMP is open year-round, seven days per week from 10am to 5pm.